Walsine Pierce: GAS AND FOOD PRICES: The Wheels Keep Turning! 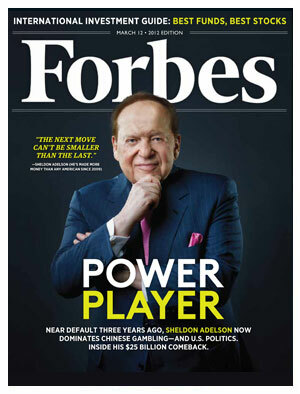 The man shown on the front cover of Forbes is Sheldon Adelson, one of the richest men on the planet. His net worth is about $25 Billion. I DID NOT WRITE THIS BLOG FOR HIM! The world is treading on dangerous ground. The article pointed out that corn was up 94% and wheat was up 80% since the previous June. My lovely wife, Julie, and I enjoyed one of our favorite dinners last night, Lake Erie perch and cole slaw. Simple, easy to fix and, Oh! so good. The perch was a gift of my friend Don Wilson. The cole slaw mix came from Save-A-Lot, a nearby discount grocery store. Two weeks ago I bought that cole slaw mix for the usual price of $1.19. Last night it cost me $1.49. So, what's the big deal, it was just thirty cents, wasn't it? NO! IT WAS OVER A 25% INCREASE IN COSTS IN A MONTH OR LESS TIME. Most of our food comes from our own stores, but one must buy the fresh veggies. I'll be heading for the farmer's market come Thursday. Well, my friends, I tried to scare you several times last year. DID IT WORK? On my April 3rd blog, I mentioned that coffee and toilet paper prices were going out of sight, encouraging you to store up coffee at the prices we just paid, $2.50 a pound. On May 5th, I told about laying aside cases of Campbell's pork-n-beans for which we paid only $23.00. I told about getting a couple years supply of sour, water packed cherries for a third their normal costs. In general, due to soaring gasoline and grain prices, global food costs are at their highest price in 20 years. THEY WILL GO HIGHER, STILL! We are told to expect in excess of $5.00 a gallon gasoline this summer, what with all the Middle East unrest. WHAT ARE YOU GOING TO DO ABOUT IT? Have you thought about it, in a positive manner? IF IT CAN HAPPEN, IT WILL, AT THE WORST POSSIBLE TIME! Before you need to do so, you might give some thought to what you can get along without. What do you really need to be warm, dry, well fed and secure? Up front, in my life, comes all the excessively expensive things I do, like entertaining friends and family at the beach for a month, or making a cross-country camping trip. Or, having friends and/or family as guests at a Bed and Breakfast. Just the change in that attitude alone would almost feed Julie and I for a year. A month on a Shanty Boat, for example, would still be quite enjoyable and cost nil. Cable TV, two cell phones and three computers? Not needed for warm, dry, well fed and secure! Another decision that would feed us for a year. Three cars? Yep! You get the idea. A bigger garden? Fish from our lakeside retreat? Why, I even remember how to build a box trap for rabbits. Come right down to it, I remember how Mom used to bait quail, good eat'n! I'M JUST A COUNTRY BOY! NOT WHEN YOU ARE IN DEEP DOO-DOO, NOT KNOWING WHICH WAY TO TURN. 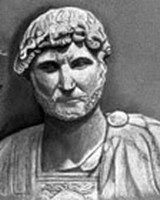 in the first century B.C.